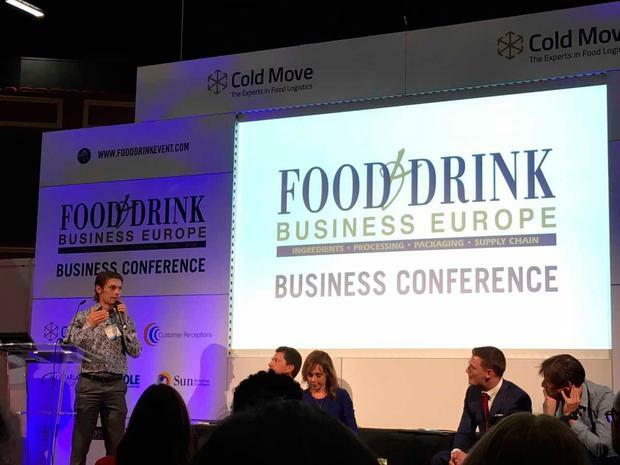 Five leading food startups will have the opportunity to battle it out in front of a panel of well known business leaders at this year’s National Food and Drink Conference. The ‘Lion’s Den’ competition, which takes place for the third year running, is offering a top prize worth over €5,000 at the event next month. All export ready food startups are welcome to enter, fighting for a chance to increase their international exposure, with a free exhibition stand at the International Food Exhibition (IFE) in London next March up for grabs. The top five chosen firms will each be given ten minutes to impress the panel of judges which include Jacqui Marsh of Butlers Pantry, Dragon’s Den investor Alison Cowzer, VITHIT founder Gary Lavin and Applegreen’s Conor Lucey. The IFE attracts over 30,000 key food and drink buyers from 108 countries, and the winning firm will also receive €1,500 cash for expenses. The National Food and Drink Conference and Exhibition takes place on September 5 in the Citywest Convention Centre, Dublin. Organic food start up with ambition to connect soil health to food, Anu Dairy, walked away with the top prize at the event last year. Founder of Anu Dairy Kevin Kennedy spoke to independent.ie following the announcement of the pitching result. “To be fair the other teams were fantastic and they were far ahead of us in terms of domestic sales but our company is based on export. So we’ve had to invest time into seeing how the export works and to see if we can get it to scale. If we can’t get it to scale, it’s not a runner,” he said.